What a fantastic night! Thanks for joining us! It couldn't have been better weather for our 3rd Annual Pagoda Lighting! DJ Frank, Dunbar HS Jazz Ensemble, and Bahia Vieja were terrific, the lights were beautiful, and the 2,000+ neighbors and friends gathered made the park glow with holiday spirit! We couldn't have put on such a fun event without a lot of help. Thanks to our sponsors (see them listed on the right), without whom this event could not happen. Thanks to our hardworking Lights Committee - Maggie, Cindy, Turan, John & Scott - as well as the many other volunteers who assisted with getting the thousands of lights on and around the pagoda, set up/cleaned up, and staffed the Friends' Tent! And thanks to our craft and food vendors, who provided so much cheer! We can't wait to do it again next year! 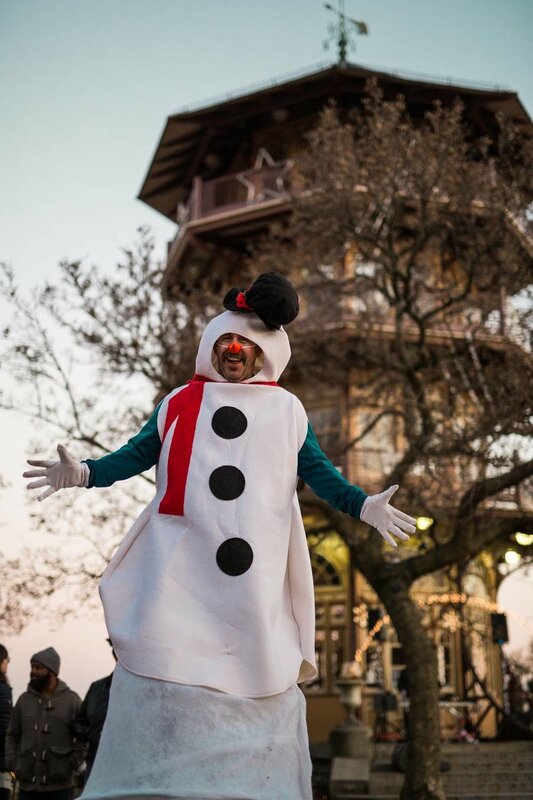 Happy Holidays from the Friends of Patterson Park!